Suicide Squad may be the most leaked production in recent memory, but we don't mind as we're loving what we're seeing so far. From scoops about casting to set photos, it's all being leaked onto the internet. That's not counting recent official images of the cast in costume and a close look at Will Smith's Deadshot. 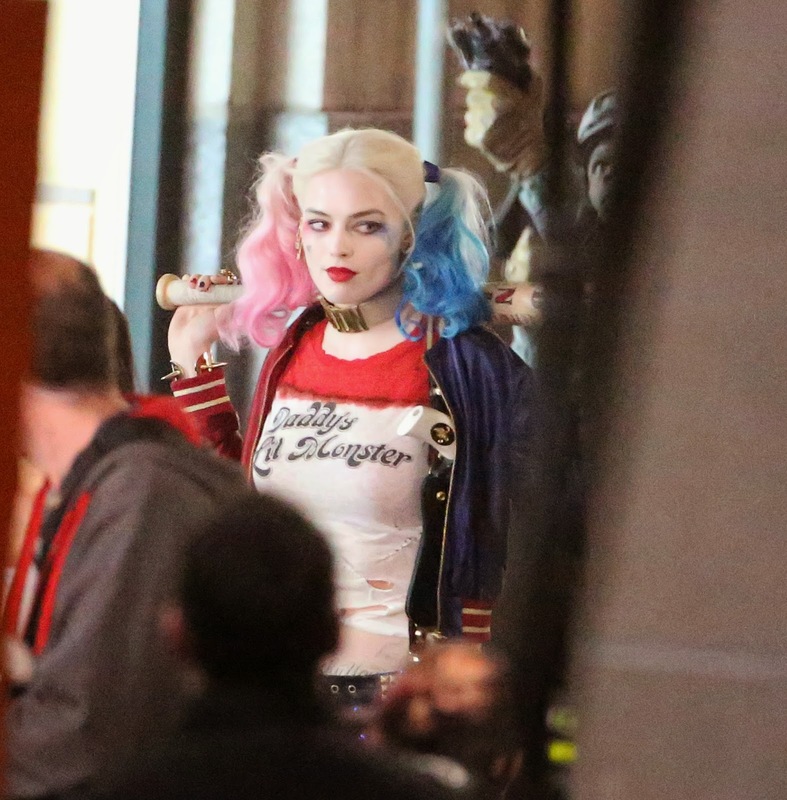 Now we have set photos of the cast including a better look at Margot Robbie as Harley Quinn. Besides the signature dual hair color and bat, Harley appears to have even more tattoos than the ones seen in the group photo. She even has a star under her eye like Jared Leto's Joker image who had a "J" under his. Scott Eastwood is spotted in U.S. military gear for a role that was rumored to be Steve Trevor but later dismissed. Check out the gallery for shots of Deadshot, Killer Croc, Slipknot, and Captain Boomerang.